This time-lapse video was created during the summer 2017 YMCA Youth FilmIt camp at the Fremont YMCA in Fremont, Nebraska. Funding for the film camp workshops provided in part by the Fremont Area Community Foundation. Click here to see a compilation of all the 2017 student films. We are changing the community and providing opportunities for our area youth. The Digg Site Productions supports the development of movies filmed in Nebraska or by its residents. Support The Digg Site Productions and the work we do by attending an upcoming event. 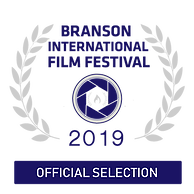 Closure Documentary - Official Selection of Branson International Film Festival!